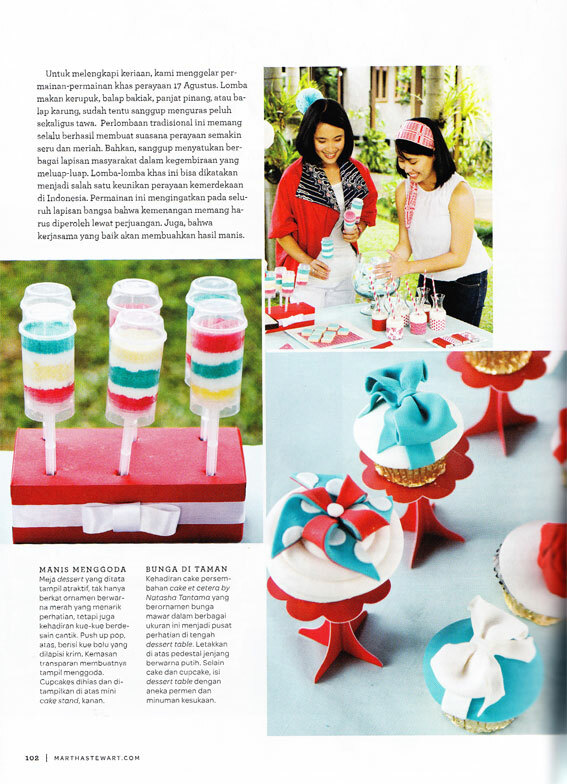 Our very own paper cupcake stand in one of the article by Martha Stewart Living Indonesia August 2012 Edition. How exciting it is for us. 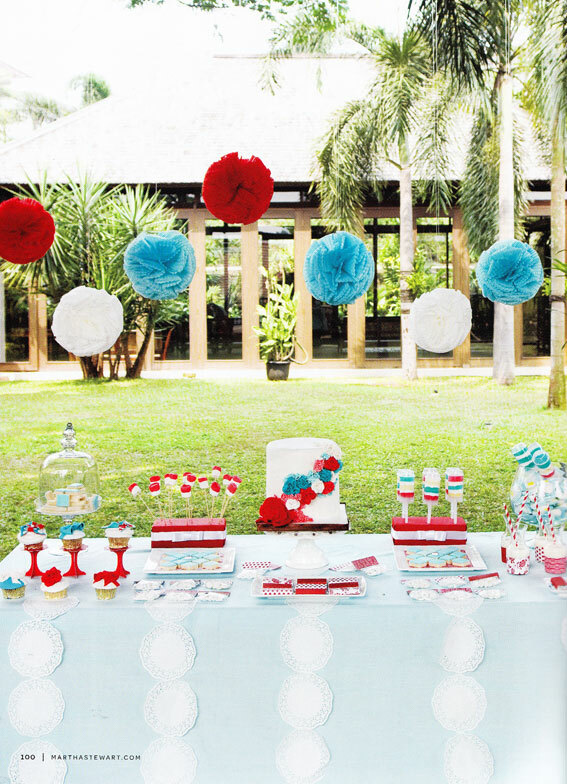 The article itself talks about party ideas for Indonesian independence day with red, white and blue accent color; and the dessert table was simple yet nicely done by Kinderplays and Tosca n' Peonies Event Stylist. 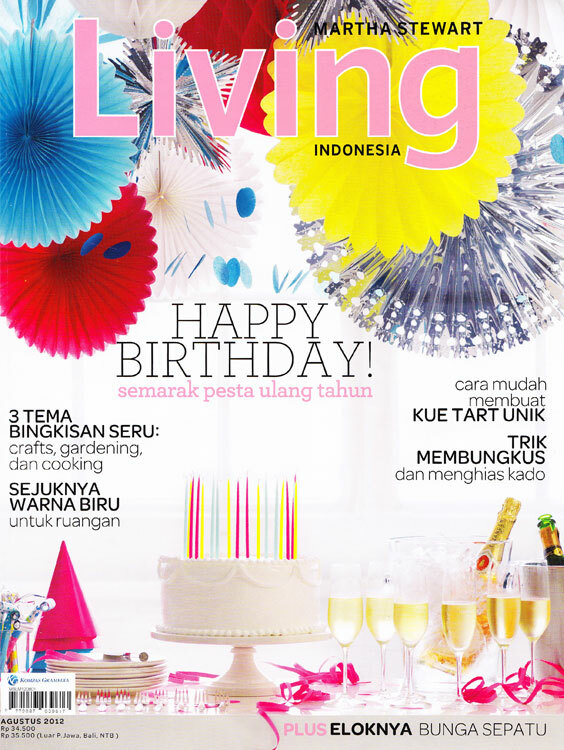 Go check out the whole article on page 100-106.